After such an overwhelming response, it’s hard to think back to my initial fears just before the show doors opened. It was Thursday morning, we had just finished setting everything up and there we were, waiting patiently for the eager public. We had never exhibited at a show of this size before. 50,000 tickets sold. 50,000 eager gamers waiting to come and play the latest games and my mind is filled with thoughts like, “What if nobody comes to our booth?” and “What if they’re only interested in the big titles?”. Thankfully our booth was busy the whole time. It was amazing. It’s been over a week and we are still buzzing from the amount of people who came and played and queued and came back for more. Unfortunately this meant we weren't able to check out all of the other cool games that were exhibiting alongside us, but rest assured fellow indies, we documented all of your titles on our camera and will be checking out everything we missed at some point. Awesome things we did get to check out were Lazarus, a brilliant no-stick shooter on iPad by Andrew Roper and Andrew J Smith. We also played the brilliant Luftrausers (pronounced Looftrowsers, not Lovetrousers) by the awesome Vlambeer who we were fortunate enough to have in the booth next to us. And we managed to get a quick play of the wonderful Hotline Miami by Dennaton Games before dashing back to our booth. Adam found a few minutes to get very involved in Dream by Hypersloth. 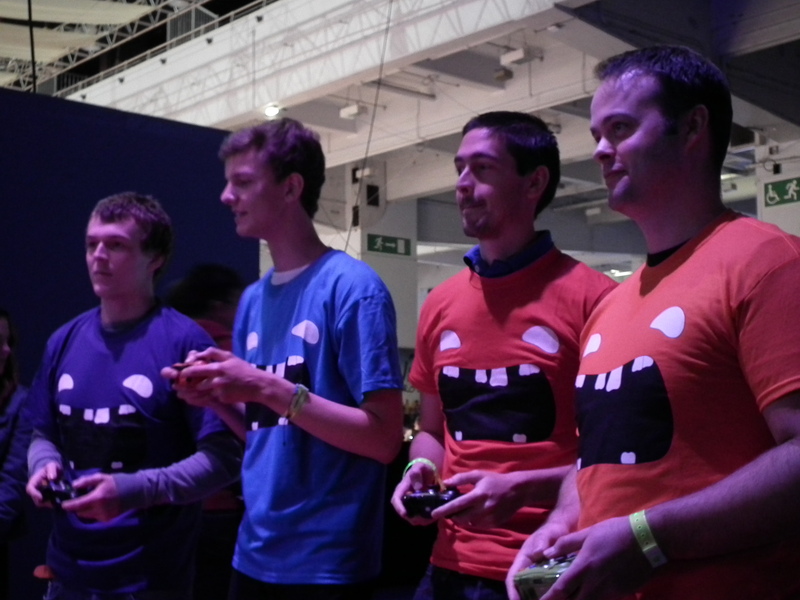 A special mention goes out to Replay Events who very kindly hosted Chompy Chomp Chomp tournaments on the Saturday and Sunday in the Replay area. 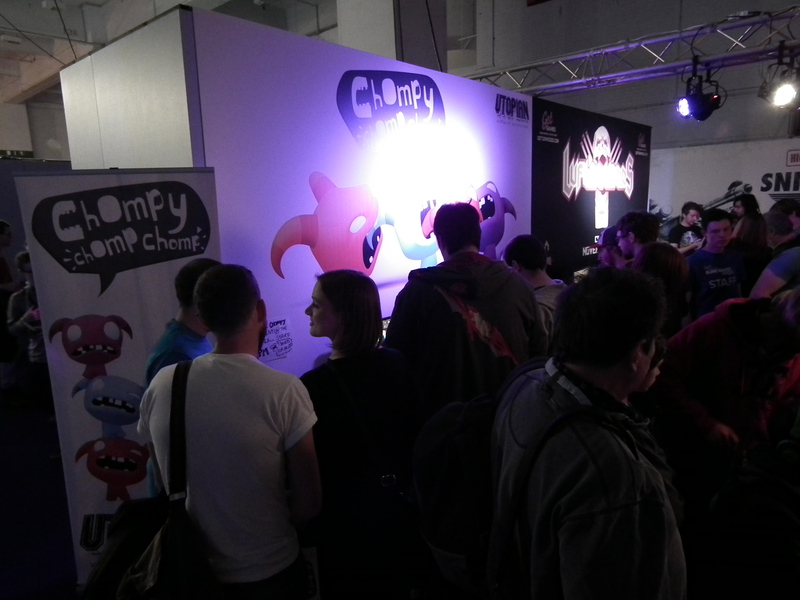 Lots of people came to play and win Chompy t-shirts and copies of the game and it was great fun watching everybody with their competitive faces on in the finals. There are pics up on our Facebook page here. So thank you Eurogamer Expo. You were awesome. We are now fully recovered and ready to do it all again at Play Expo in Manchester where we have some extra special treats in store for you all!